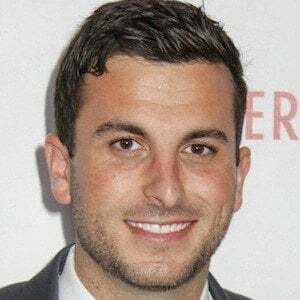 Television personality who originally rose to fame as a contestant on the eleventh season of the reality series The Bachelorette. Though he was eliminated about half way through the season, he proved to be such a fan favorite that he was invited to star on season two of Bachelor in Paradise. He earned a degree in sports management from the University of Kansas in 2010. Since appearing on reality television, he has served as an assistant coach for the University of Kansas football team. He got engaged to Bachelor in Paradise contestant Jade Roper. The couple tied the knot in February of 2016; they welcomed their first child, a daughter named Emerson Avery, in August of 2017. In January 2019, they announced they were expecting their second child that August. He competed for the affections of Kaitlyn Bristowe on season 11 of The Bachelorette.